Zulmira Ribeiro Tavares, Family Heirlooms, Trans. by Daniel Hahn, Frisch & Co., 2016. Maria Bráulia Munhoz thought settling down with a well-off husband in a house of her own would inaugurate a life of freedom and contentment, but she soon discovered married life to be a series of tiresome formalities. And little happened with her husband, a much older judge, once the lights went out. Now the widowed Maria lives alone in her apartment in São Paulo, her only companions the scheming nephew of her deceased husband, Julião, and a loyal maid. Family Heirlooms is a searingly brilliant novella from one of Brazil’s modern masters and winner of the Jabuti Prize, finally published in English more than two decades after its original Portuguese publication. I believe that lying is one of the noblest of human endeavours. 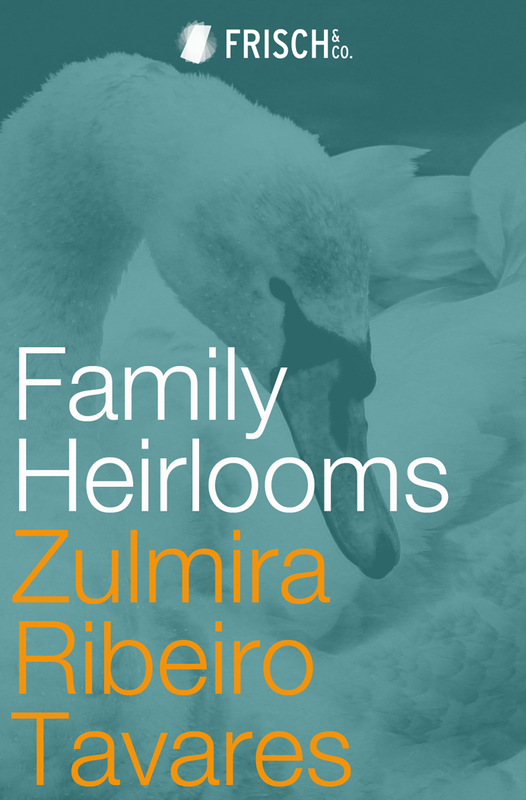 I won’t justify this position (at least not here) but will state that Family Heirlooms, a 1990 novella by Brazilian author Zulmira Ribeiro Tavares, translated last year by Daniel Hahn and published by Frisch & Co, is a magnificent accretion of lies. Family Heirlooms reads like the first part of a 1000-page novel about dynasty and family—perhaps like a more Brazilian, more sly, less tragic Anna Karenina, or a less patriarchal The Leopard, or a less awful The Corrections. We are promised family heirlooms, plural, and instead we only get one: a single pigeon’s-blood ruby. Where are the others? Where are the other 900 pages, each crammed with jewels and children and deathbed weeping? Where are the long asides on inheritance law and farming and competing theories of estate management? Instead, Tavares spends the novella squinting down a jeweler’s loupe at the pigeon’s-blood ruby that comprises our sole, disappointing inheritance. As with all gems in novels, this one has a complicated history. It is the centre of the first scene: an elderly woman, Maria Bráulia, has been convinced by her nephew-secretary, Julião Munhoz, to have her jewels valued. The pigeon’s-blood ruby is her most esteemed asset, and she has promised it to Julião. He informs her that the ruby is in fact a fake; Maria Bráulia refuses to believe him. Eventually, Maria recalls the ruby’s history. When Judge Munhoz—who had an affair with his own physiotherapist-secretary, a young man—bought it for her as a love-token during their courtship, it was real and valuable. It was so valuable that they had had a near-perfect replica made, which Maria Bráulia would wear. The fake was somehow more impressive; her parents “came to look upon the imitation with even greater respect than they had shown the original the night before […] in this instance the work of man and the work of God were equal in beauty.” She wore it on her honeymoon with the judge, and lost it in Switzerland. When she returned home, she realised that the fake had actually been locked away in São Paulo for safekeeping. Maria Bráulia goes about pretending that she had never had a fake made in the first place: “Did they think she was the kind of woman to walk around with a bit of coloured glass on her finger? They had to be joking!” Our ruby then, has a complex relationship with the truth. It is not a lie, but it is not authentic either; it is believable only on the surface. But wait! I have been lying to you. Sorry. There is a third ruby, although this one will not be inherited, is not pigeon’s-blood, and is not, as far as we know, fake. It was a gift from a jeweler, Marcel de Souza Armand, to whom Maria Bráulia was introduced in the wake of the loss of the pigeon’s-blood ruby. They have an intimate relationship conducted largely in Armand’s shop: decorously in the display room and more secretively in a private room Armand reserves for privileged clients. “As they both approached old age, the faithful friendship between Marcel de Souza Armand (a committed visitor to the Munhoz family home for so many years) and the Munhoz widow abandoned certain precautions. It was, in short, what it seemed to be (or almost).” This second ruby is a cabochon—it has been smoothed rather than faceted. Maria Bráulia wears it “in secret […] underneath her dress”; she only starts to do so without anxiety after her husband dies. But things are never quite as they seem. The cabochon has inclusions, which Armand explains are flaws in a gem. He mollifies Maria Bráulia, lest she be upset at the flaws in her love-token cabochon: “in rubies this does not mean any loss in quality; on the contrary, it’s a guarantee, a proof of the gem’s legitimacy”. Tavares is masterful at using parentheses, in this scene in particular: “Now, Braulinha, your marriage is a little like this ruby. You and I both know what it’s like. It contains a little inclusion (The physiotherapist-secretary! Maria Bráulia deduced, ecstatic), you and I both know what that is. (It’s him! it’s him!) So let us then take advantage of the inclusion and use it to produce a lovely star-effect. (Oh God!) I think you understand me, Braulinha. (Oh Christ, Christ. )” The parentheses are themselves wonderful inclusions, little bursts of authenticity beneath the hard shining surface of Tavares’s prose. These three rubies have to do a lot of work in the novel; it’s lucky that gems are hard and mysterious, because more mundane and domestic heirlooms—teddy bears, diaries, porcelain, beds—might not have survived such robust treatment. The rubies are imagined by various characters as inheritances: future nest eggs, tokens of love, symbols of marital decay and fraud and of all the attitudes and neuroses and history that get passed down through dynasties. They are references to the problem of representation in art, which fraudulently imitates life, sometimes near perfectly, without ever being real. For Family Heirlooms to encompass all these metaphors fully, it would perhaps need the extra 900 pages. We would need to see Maria Bráulia and Armand in love, in lust, and apart, and we’d need a full history of Judge Munhoz’s career and extra-curricular activities. We’d need to see how Julião reacts to his inheritance, and how Maria Preta, Maria Bráulia’s servant, and Benedita, Maria Preta’s great-niece, survive, how their world is changed by the ruby’s falsity, or how the ruby’s authenticity did not affect them at all. We are denied all this; the plots and characters are simply sparkles on the surface of the novella. Tavares has faceted a wonderful surface for us and not much else. I do not mean this negatively; I am a great admirer of surfaces. I recall a line from Edith Wharton, describing the guests at a Gilded Age country house: “Through this atmosphere of splendour moved wan beings as richly upholstered as the furniture.” I for one find it difficult to be judgmental when faced with such magnificent upholstery. "With her social face once again on show, the other one, the strictly private one, recedes, as happens every morning, and is immediately forgotten by its owner. A face that, being so rarely seen by others, assumes the same modesty as her shrunken body; bringing it into the daylight, holding it up on her neck as though it were the most natural thing in the world (which in fact is precisely what it is now), displaying it to someone else, even someone with whom she is on intimate terms, such as her nephew, would seem to her an act of the most absolute and unforgivable shamelessness." Even with her nearest and dearest, the idea of revealing her true self would never cross Maria's mind, and this reluctance to open up to the world is a trait which is explored in depth throughout the story. The plot, at least what little there is of one, hangs on the story of the ring (a device which a Victorian author could probably have made a six-hundred-page novel out of...). It begins with a present from Maria's husband before their marriage and is confused by the creation of a copy for everyday use - except that before too long, nobody is quite sure which is the real and which is the fake (or, indeed, whether there were ever two rings in the first place). "Judge Munhoz paced back and forth in his study, back and forth, but he couldn't make up his mind whether deception or decorum had been more important in his life." With the judge balancing both qualities, with work and his private secretary, Maria is left to find solace in her friendship with the jeweller, Marcel de Souza Armand, a relationship which is implicit and understated - and which brings us back to the jewel. "Goodness, if I've got to explain everything I know, ten years won't be enough, not even a whole lifetime! And everything about manners, about good breeding that I want to pass on to you, all of that! As Dona Chiquinha used to say, these teachings are family heirlooms too. We inherit them, they're passed down from mother and father to child." The story is nicely written, and one of the strong points is the writer's observational skill, with a careful, cinematic eye for the actions of the protagonists. In addition to the paragraph on Maria's second 'face', there are many excellent quirky details, such as the comical look of the nephew when clasping his aunt's hands or the jeweller's resemblance to a portrait of Queen Victoria, an observation which forever plays on poor Maria's mind once her husband has made it. The growing popularity of Clarice Lispector—thanks in no small part to the efforts of translator-biographer Benjamin Moser—has opened a larger space for translated fiction by women such as Zulmira Ribeiro Tavares. Lispector, Tavares, and their translators continue the fight for gender equity in publishing by exploding many of the facile dichotomies that publishers and marketers use to circumscribe “women’s literature.” Some resent it. In a recent article in the Telegraph, Nicholas Shakespeare finds Lispector “morbidly insensitive to readers who thirst for plot, character development, lucidity,” etc. These thirsty readers could stand a little reeducation if they can’t sate themselves on Lispector’s écriture féminine. Though Tavares’s Family Heirlooms is stylistically a more easily-accessible novel than Lispector’s mature pieces, it likewise challenges our assumptions about literature and language. Family Heirlooms is the first of Zulmira Ribeiro Tavares’s ten books to be translated into English, an awesome accomplishment by translator Daniel Hahn and publisher Frisch & Co. Hahn’s excellent translation captures Tavares’s taut and vibrant realism, which eschews the avant garde philosophizing of Lispector and the spiritualism of Coelho in favor of a frank, conversational tone that belies its own complexity. But then we return to Maria Braúlia alone in her room—an important gesture in this novel, the withdrawal from public to private space. We learn from the narrator that Maria Braúlia has known all along that the ruby was a fake, and from there the story proper begins as we descend into Maria Braúlia’s memories, from the day Judge Munhoz gave her the fake ruby to all the consequences of that first deception. Tavares maneuvers the reader into the position of a confidante, creating an intimate voice perfect for a short novel. The narrative returns occasionally to the present, but never to pursue anything having to do with Julião. By motioning toward but refusing to tell the nephew’s tale, Tavares turns an expected masculine narrative of formation into a feminine one. She plays the important themes—love, ambition, deception—but then modulates them into a different key and slows the tempo. It’s a masterful prologue, a thoughtful and well-paced meditation on genre itself. This kind of subtle self-reflexivity is Tavares’s preferred method throughout Family Heirlooms. The fake ruby, for example, dominates the novel. It stands as a symbol for every fractured aspect of Maria Braúlia’s life: her split public and private personae, her willful ignorance of the Judge’s private life, the Europhilic high society of São Paulo in which the Munhoz family moves. Maria Braúlia and Judge Munhoz’s marriage is a careful negotiation of the sayable and the unsayable, a fine mixture of truths and lies, and the ruby is its perfect emblem. First, let us admire the magnificent name of this famous Brazilian novelist: Zulmira Ribeiro Tavares. It’s like her prose: elaborate, decorative, exotic, elegant. She is an award-winning author in Brazil and worldwide, and now that I’ve read this, I’ll read anything else she’s had translated into English, and I wish I had discovered her earlier. While reading Family Heirlooms in between other life tasks (working, eating, sleeping), I was able to ignore my loathing of ebooks because I wanted to finish the story so much. Frisch & Co have not converted me to ebooks, but they have certainly persuaded me that a tremendous piece of writing will transcend the uncomfortable, physically awkward, anti-social, electricity-reliant and charmless process that reading a novel on a screen usually is, for me. Family Heirlooms is a novella, rather than a novel: two hours of reading in total, but it dips the reader instantly and completely into the world of the Brazilian middle classes. We are at some time in the twentieth century when sailing to Europe was the right way to take a honeymoon, and jewels could be lost in Switzerland without noticing. Maria Bráulia Munhoz is the elegant and shy young wife of the esteemed and aspirational Judge Munhoz, who respects her at all times, and tells her that the pigeon’s egg ruby on her engagement ring may or may not be fake. At least, they know it’s real, but she must wear the copy except on those special occasions to impress her family who revere a jewel so valuable that their daughter cannot wear the real thing in public. Judge Munhoz has a young male physiotherapist-secretary with whom he performs strenuous exercises in the half-dark of his office, and for whom he is always buying little presents from their friend Marcel de Souza Armand, the jeweller with part-French ancestry. Judge Munhoz’s respect and trust in his young wife is complete: she comes from one of the very best and richest Brazilian-Portuguese families, but she is too shy. He instructs her to visit their friend Marcel, to take a lunch with friends, to get out of the house occasionally. Maria Bráulia does visit Marcel, very often, in different secret locations in the city, usually in the afternoons. He talks to her learnedly and passionately about the nature and secrets of his gift of the cabochon ruby that, many decades later, when Maria Bráulia is a widow, she hides in random and scattered places in her room, and handles only when she is alone. In her old age she is assisted in her business affairs by her devoted nephew Julião Munhoz, who is going a little bald on top, a little fat around the waist, and has a plan with his girlfriend and their accomplices to strip Aunt Bráu of her jewels for their own private projects. Dõna Bráu’s devoted maid Maria Preta knows about the cabochon ruby, that Maria Bráulia has not yet shown her nephew, but who knows about the secret safe? And how much does Maria Bráulia know, or care, about her nephew’s plans?